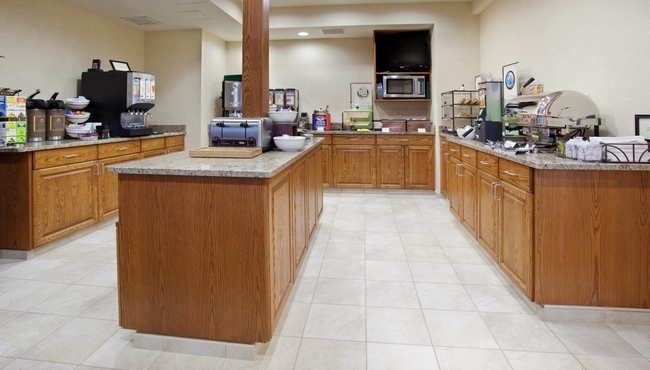 Each morning at the Country Inn & Suites in Greeley, our complimentary, hot breakfast will be waiting for you with favorites like sausage, waffles, hot and cold cereals, bagels and fruit. If you’re in the area for an extended stay, you’ll appreciate our rotating menu of breakfast items, which changes daily. If your team needs to get on the road for a game, you can grab a cup of coffee and a muffin before heading out. For lunch and dinner, try one of the great restaurants near the hotel like Old Chicago Pizza & Taproom, Palomino Mexican Restaurant and Stuft.